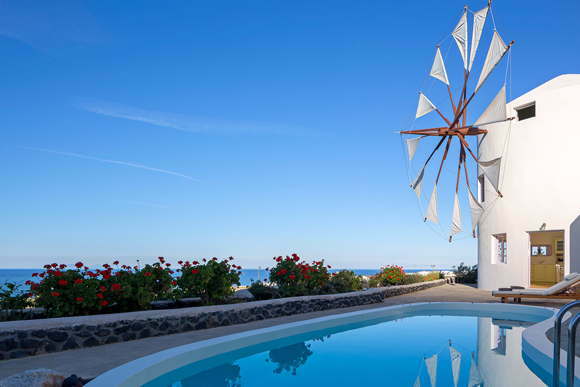 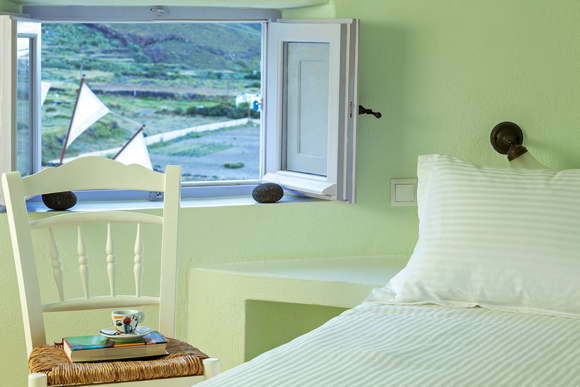 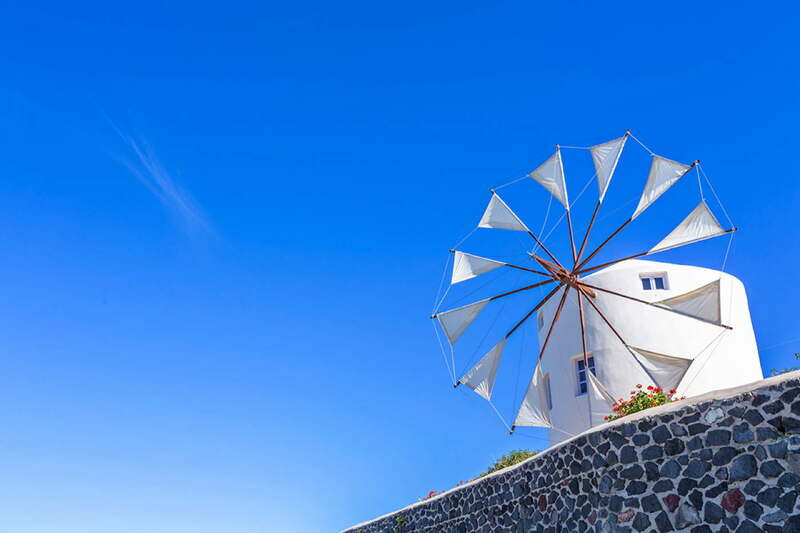 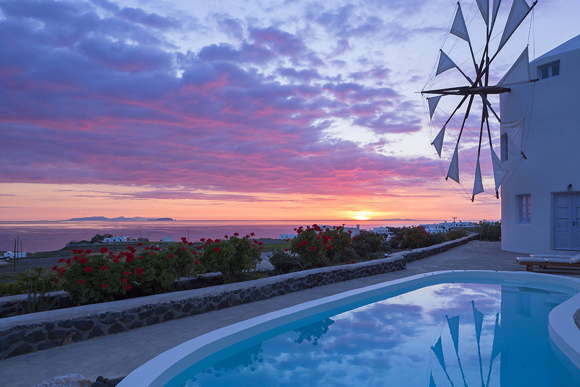 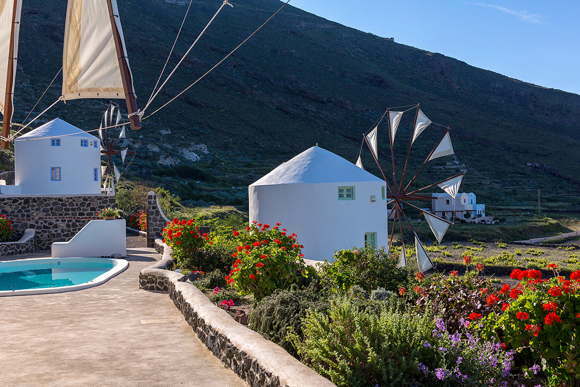 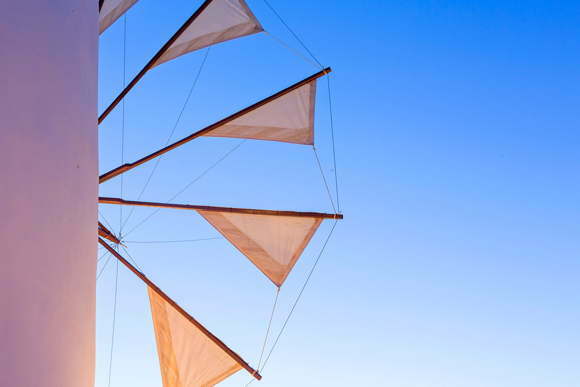 This inventive mill is furnished very comfortably and is situated on the east side of the island between the main town Fira and the village Oia. 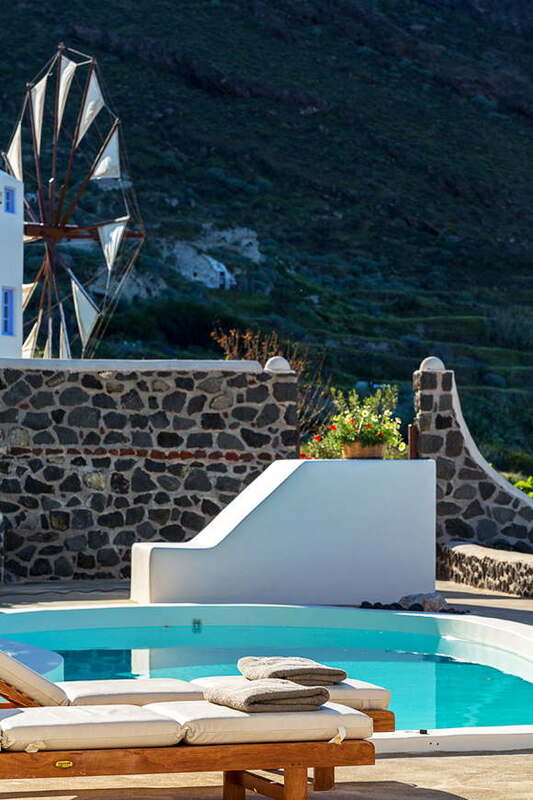 From the terrace with its small hydro massage one can enjoy free views on the surrounding vineyards and the sea. 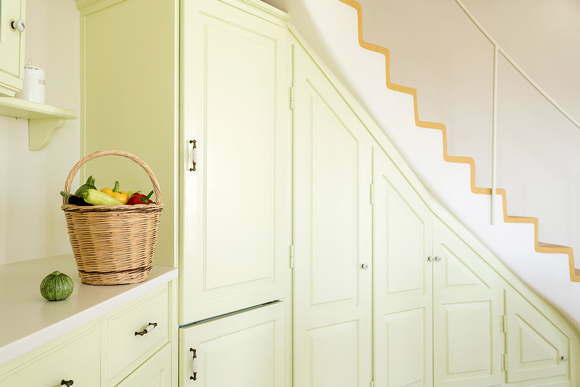 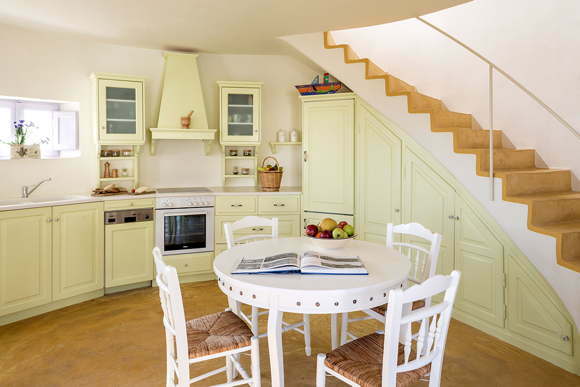 A stair leads from the well equipped kitchen to the first and second floor of the mill. 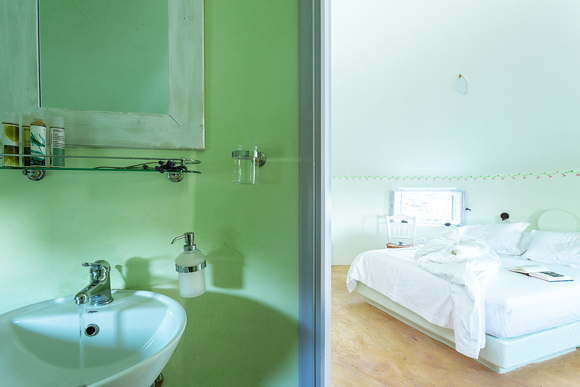 On each floor, there is one double bedroom with bathroom and WC. 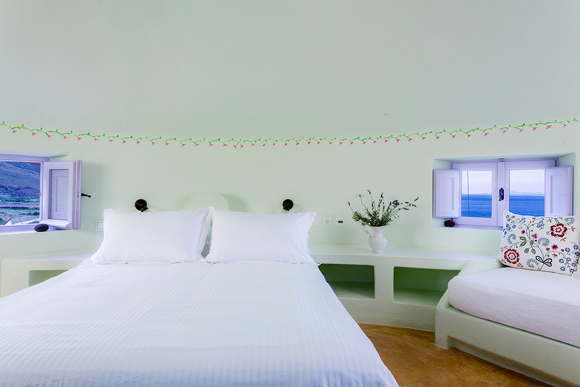 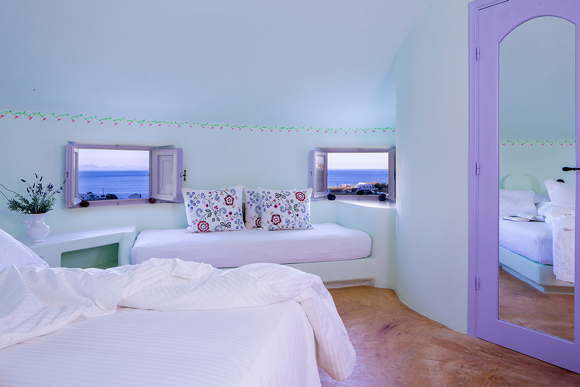 In the upper bedroom, there is one additional single bed on which one child could sleep. 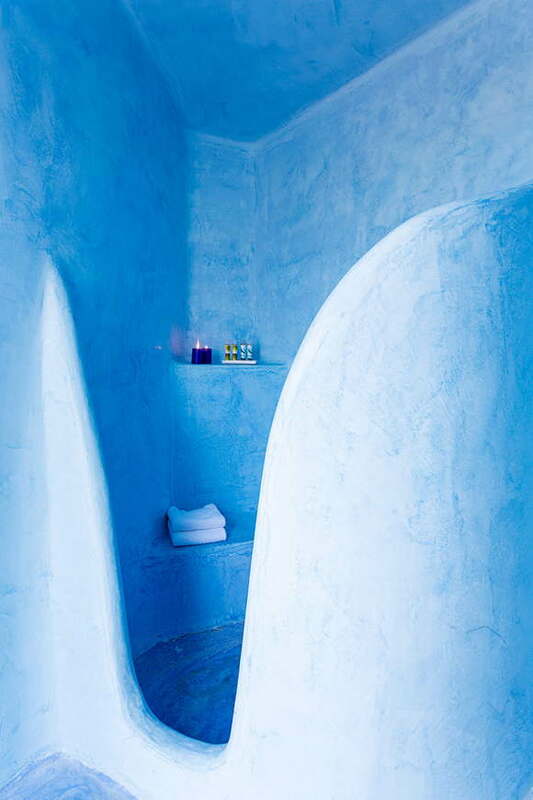 There is one more shower with WC on the terrace level. 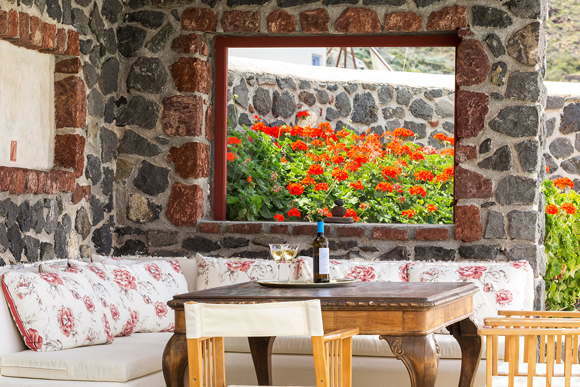 The roof-topped sitting area on the terrace offers enough shade and place to enjoy meals. 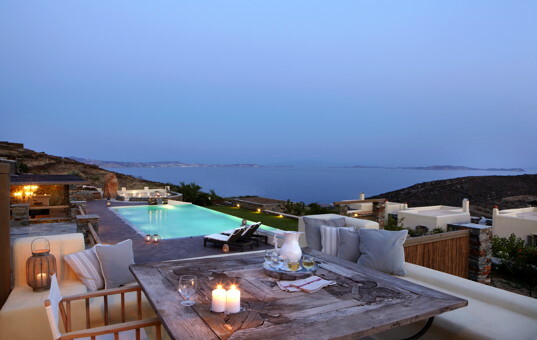 Beautiful teak deck chairs emphasise the dignified atmosphere of the house. 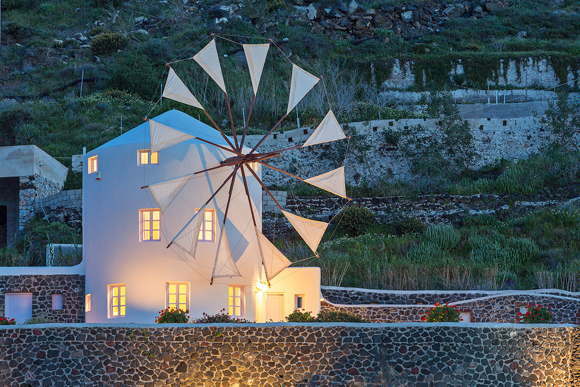 There is a second mill that is construced in the same way. 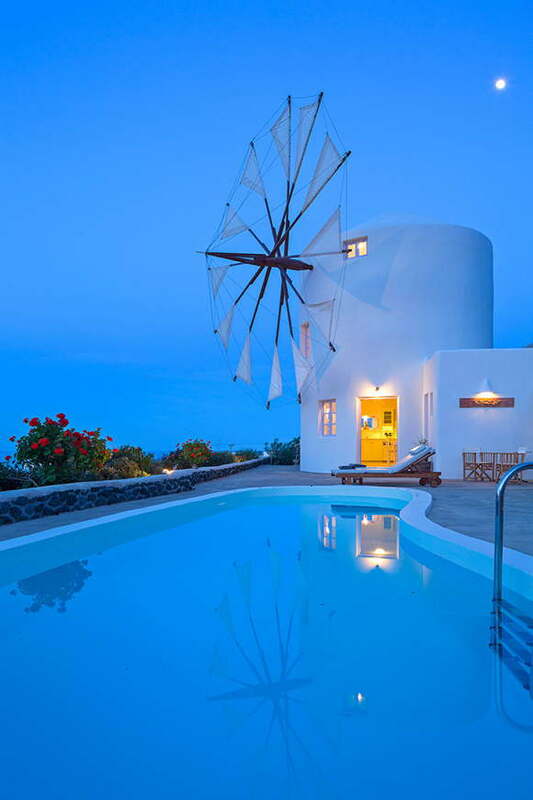 Windmill 1 is a stone's throw away. 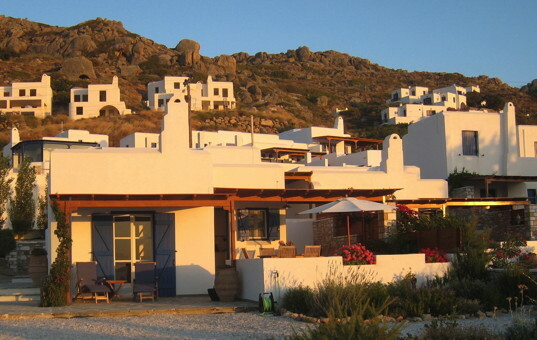 Restaurants and supermarkets can be found in a distance of 3 kilometres. 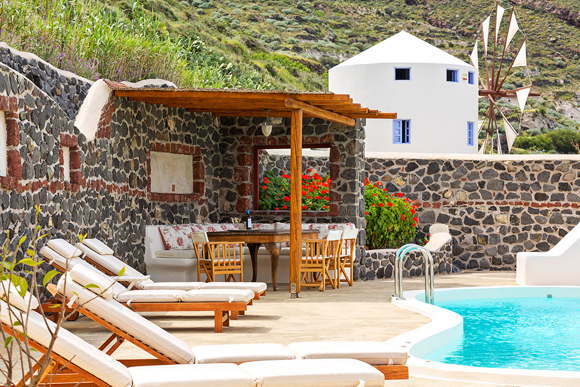 We recommend to rent a car. 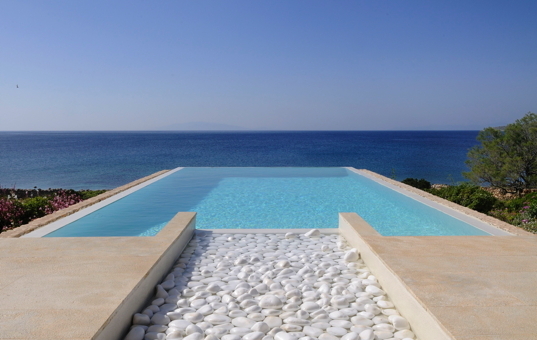 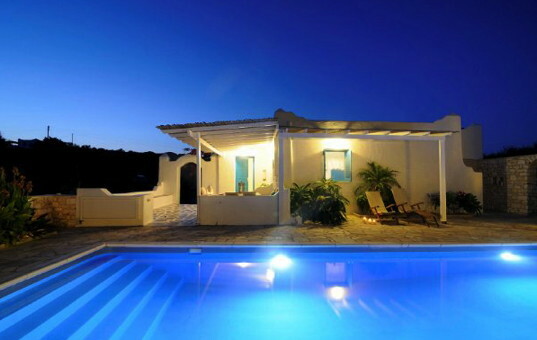 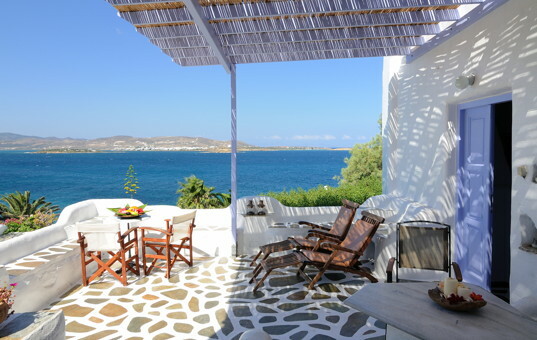 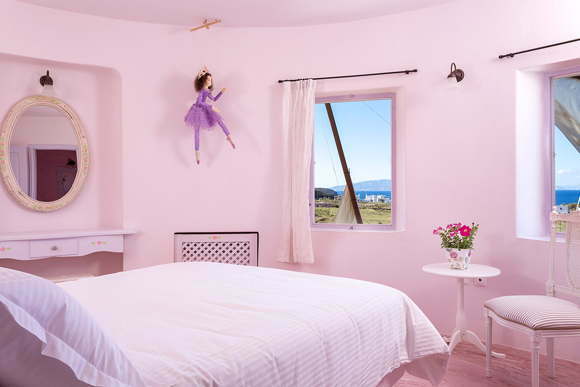 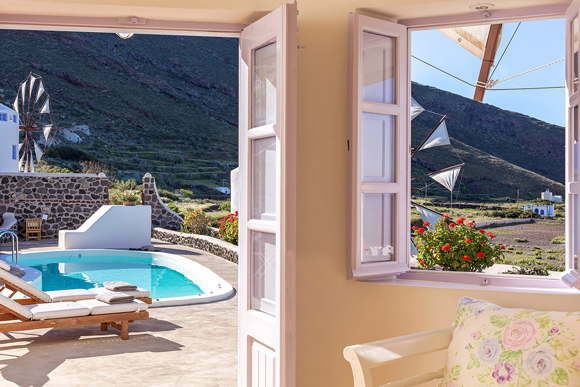 Charming holiday home in the traditional Cycladic style, only 30 meters away from the sea.